To celebrate the American Library Association’s Annual Conference being held here in Chicago over the weekend I thought it would be fitting to post some pictures of the old Chicago Public Library building. 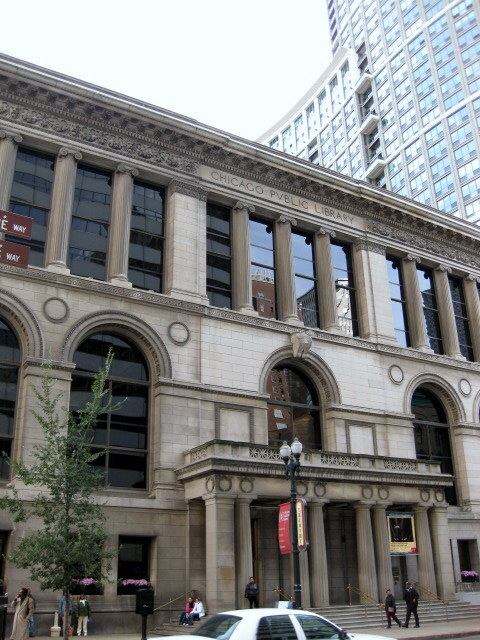 Opened in October 1897 and used as library until 1991 when the Harold Washington Library Center opened. 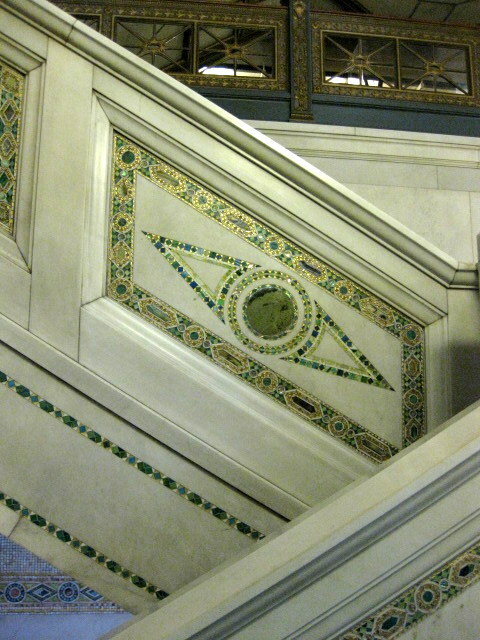 Click here to read about the history of the library in Chicago and the architectural details of this magnificent building. Growing up, my local library was the Cicero Public Library, which was (especially back then) a tiny percentage of the size of the Chicago Public Library. 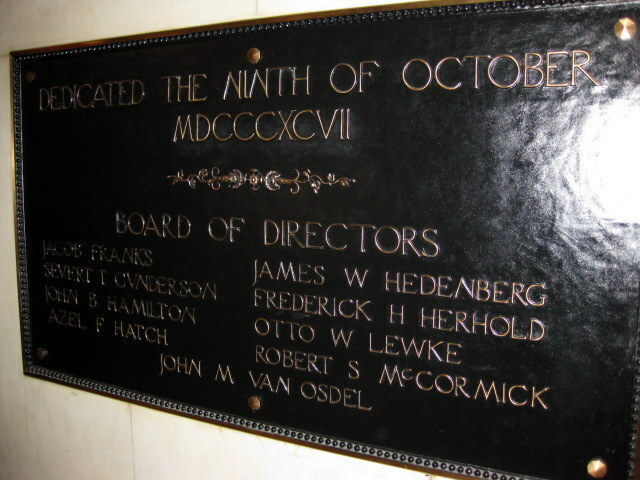 However, I fondly remember my father, who was a design engineer, taking me with him to “the big library” on the occasional Saturday when he had to consult railroad patents and other engineering designs for his own work. The place remains huge to me as an adult, but as a small child it was colossal. Dad would request the materials he needed and we’d sit at a table, me reading or coloring, he consulting his notes, until the blueprints or books or whatever he had requested arrived via page. It was thrilling to sit there next to my dad in such a big, obviously important library as he did his work and I did mine. 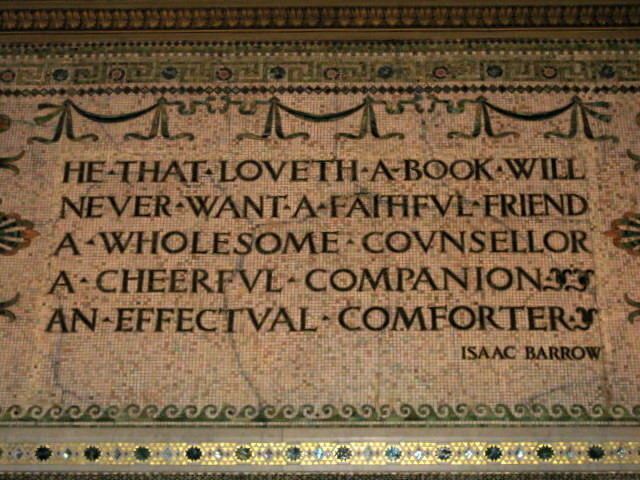 If you’re ever in Chicago and love libraries, you’ll want to put this building on your agenda. And then make sure you have an extra memory card for your camera when you visit because you will go crazy taking pictures. The old library is 352 feet long, 134 feet wide, and 90 feet high. There are five floors within. 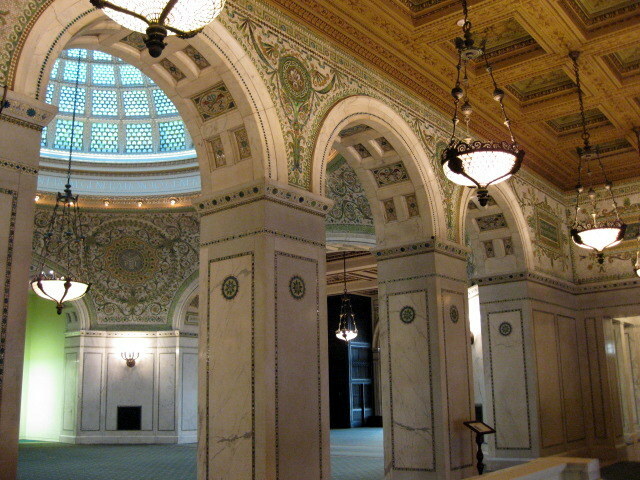 The south side or Washington Street entrance features Roman inspired architecture. My little point and shoot does not do justice to the impressiveness of these details. Lion detail from the arch in the previous picture, taken through a window from one of the upper floors. You can’t help put look up as soon as you walk in. I love the sparkly mosaics, the smooth marble, and then the warmth of the wood ceiling. 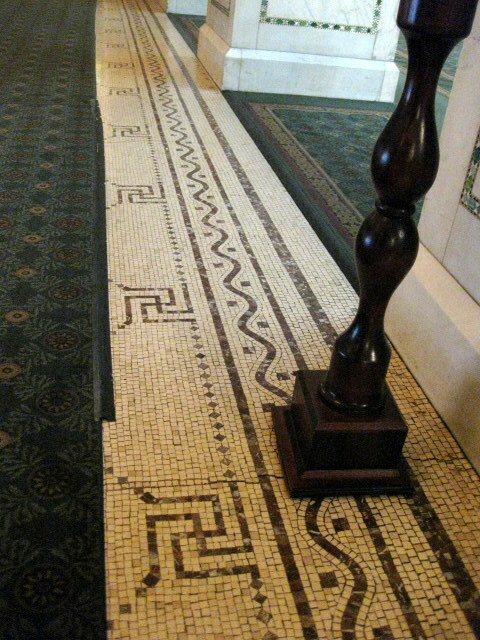 Names of great thinkers and writers of the past are highlighted in the mosaic designs. 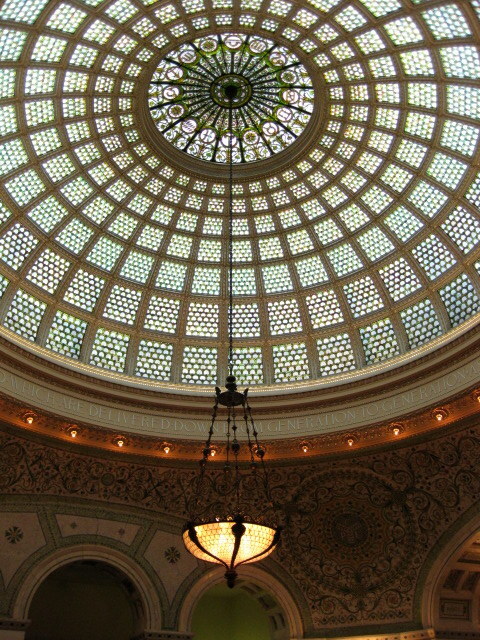 Everything is grand about this building, including the world’s largest Tiffany dome. Here’s what you see as you round the corner coming up the staircase from the first floor: Preston Bradley Hall. Is this not magnificent? Standing under the dome looking east, toward the lake. See that person at the window? Looking out the windows pictured above you can see one of Chicago’s newer attractions across the street: The Bean in Millennium Park. 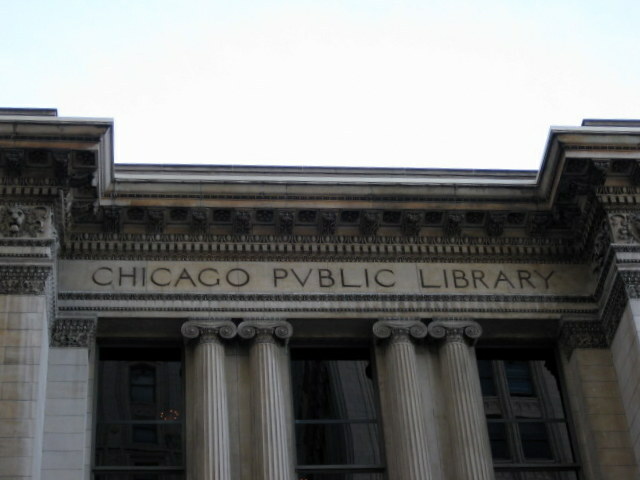 CPL: That’s the Chicago Public Library’s logo. The dome is 38 feet in diameter. I could stand here all day and just look. See the black box straight ahead in this picture? 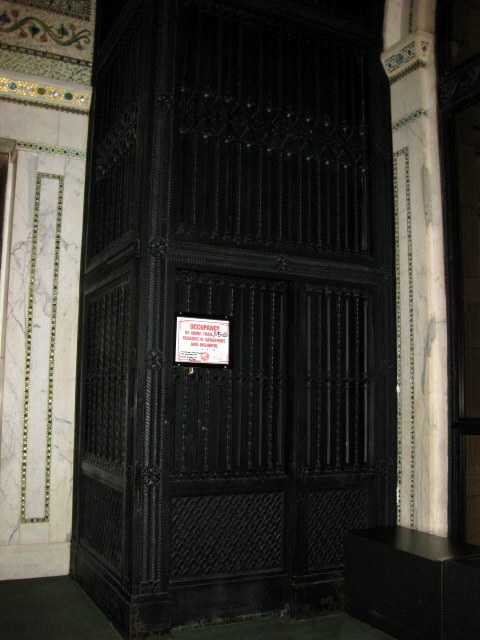 It’s one of the elevators that was used to deliver books. 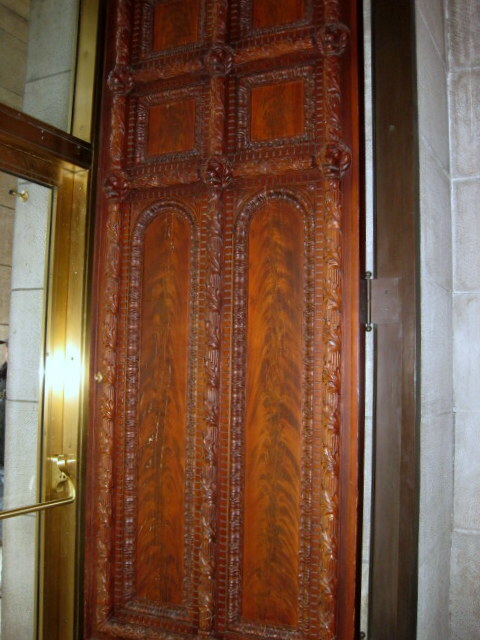 Door detail. Glass mosaic. 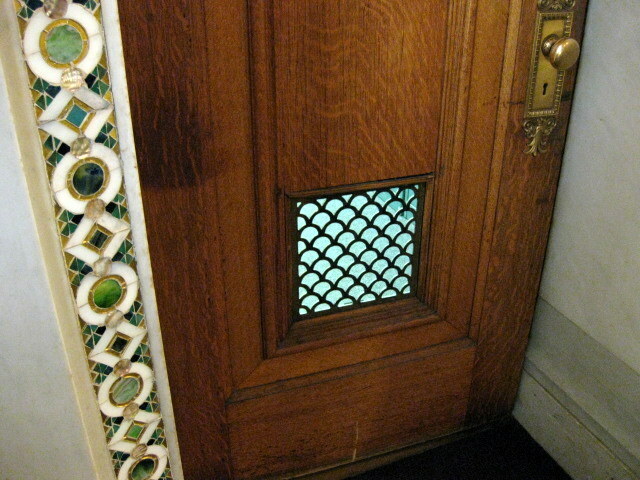 The fish scale ventilation grill matches the fish scale glass pattern of the Tiffany dome. Stunning angles. Heavy, yet graceful. The more subdued, Greek inspired north entrance on Randolph Street. There is so much to see in this former library building. The pictures above barely scratch the surface of the detail and splendor within. That is an incredibly beautiful building! Oh what I wouldn't give for a library like that now-a-days! It's amazing. If I lived closer to it I'd just go in there and sit a little bit each day. It came close to being torn down, believe it or not.